Grab the wheel and go! Come and look from a different spot the wonderful landscapes of Sancy and enjoy emptiness. From above, volcanoes and lakes of Sancy are offering you a magical pause. Admire beautiful landscapes thanks to hot air balloons, paragliders or during a crazy zip line descent. 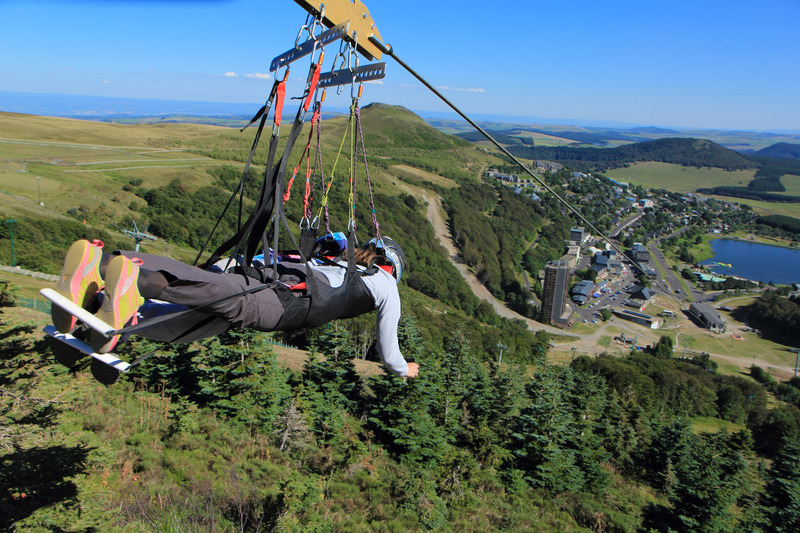 Paragliders and hot air balloons are allowing you to discover the Massif du Sancy from above. There are amazing views above volcanoes, lakes and woods! Numerous paragliders spots are available in the land of Sancy, you can discover it by yourself or with a professional. Admire magical landscapes during a sunset or a sunrise and fly with the wind on board a hot air balloon. 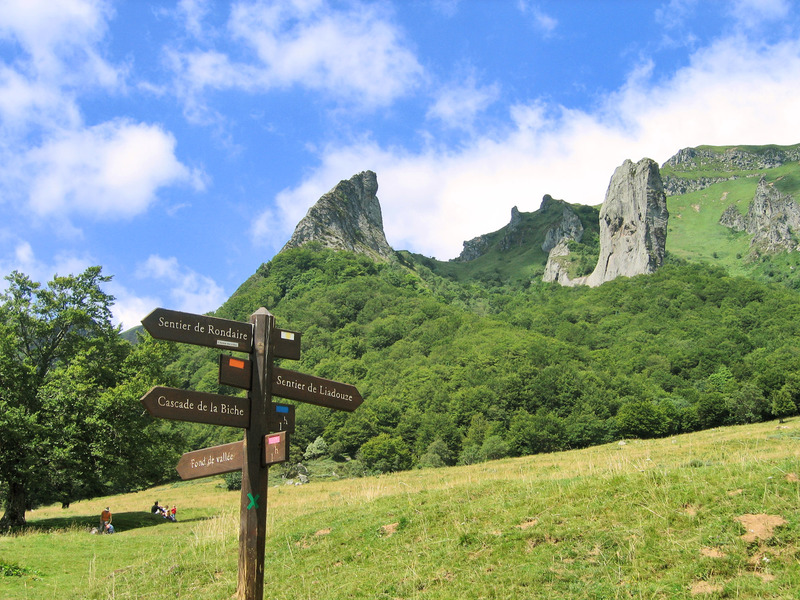 Land of a preserved nature and great spaces, the Sancy is the perfect spot for climbing sports. Halway between climbing and sportive hiking, the via ferrata consists of climbing rocky mounts thanks to specific layouts (ladders, handrails, monkey bridges and gateways). By yourself or with a professional, put yourself in the shoes of a mountaineer and conquer summits. On the Capucin site, various permanent routes are available in a wild area, on a cliff overhanging the Haute Dordogne Valley. 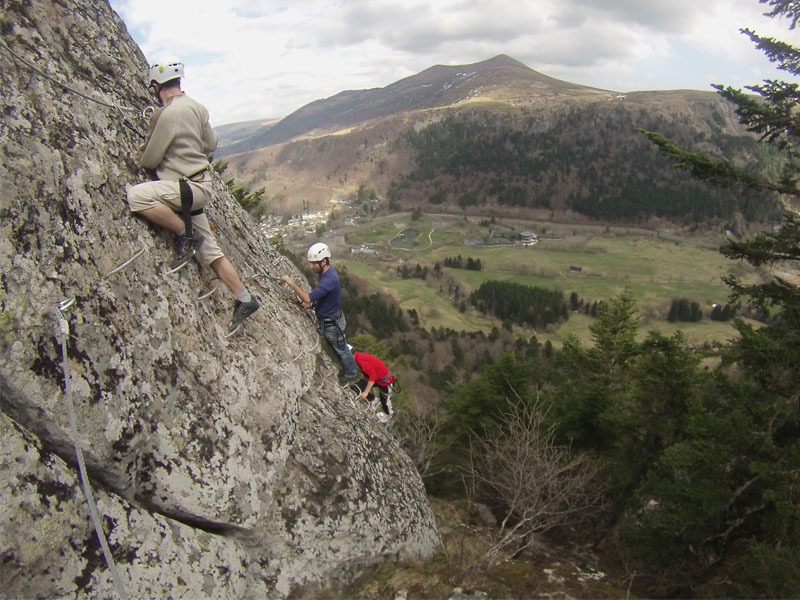 In Le Mont-Dore, La Bourboule or Saint-Nectaire everybody can enjoy high acrobatic routes. This fresh air activity will make you walk, climb, jump from tree to tree with a lot of security. Multiple units (cable, wood and rope bridge, nets, zip line) will allow you to walk around trees. You can try other acrobatics, with a more refreshing version, are also available with canyoning. This activity consists in riding down a water stream crossing many obstacles in front of you, with jumps, glides and natural slides, abseiling descents.